Any one of our campsites in Burgundy makes a great base for a fascinating tour of the departments of Côte-d'Or, Nièvre and Saône-et-Loire as well as the neighbouring department of Ain. The Burgundy region of France is a great place for exploring, on foot through its vineyards, by bike along its many cycle paths and in the Morvan Regional Natural Park, by barge along its canals, even by motorhome or motorbike. The country paths and roads around your campsite in Burgundy offer an alternative way of seeing the region, following the seasons and the local landscapes. Burgundy also means also the magic of a boat trip on the canals of Burgundy and the Nivernais, taking in the local locks and caves and visiting the charming medieval towns and local villages en route to the Morvan Hills and Mont Beuvray. 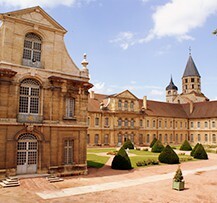 Finally, a camping holiday in Burgundy offers the ideal opportunity to explore the region’s fascinating, and often hidden, historical heritage. 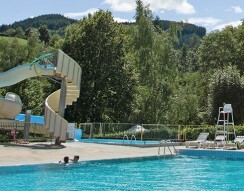 A friendly, family campsite where you can enjoy the local countryside and the relaxed, friendly atmosphere. 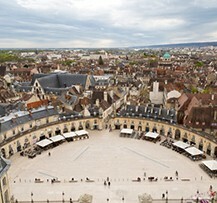 The ideal holiday destination for food lovers, from Chablis to Mâcon, Burgundy is famed for some of the most beautiful vineyards in the world, not to mention its mustard and its snails. 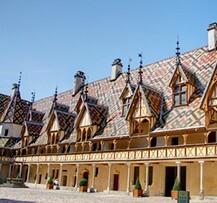 The unique wines of Burgundy are produced in exceptional vineyards using 2000 years of French savoir-faire and a tasting trip to one of its many châteaux will no doubt be one of the highlights of your camping holiday in Burgundy, as will a visit to one of the many cultural, architectural and artistic heritage sites in the region. 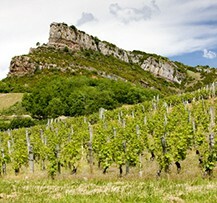 Whether your penchant is for the grands crus of the Côte de Nuits or the Côte de Beaune or the wines of Mâcon and Beaujolais, your campsite in Burgundy provides a great starting point for a tour of the region and the chance to meet wine producers and merchants over a glass of wine. Staying in a campsite in Burgundy you’ll soon learn that Burgundy also enjoys a long-standing culinary tradition. The many local specialities you’ll be hard pushed to resist as you travel the Burgundy countryside include Charolles beef, Bresse poultry, Burgundy snails, Dijon mustard, Époisses cheese and Flavigny anis.